Warning: This bag must be worn with attitude! 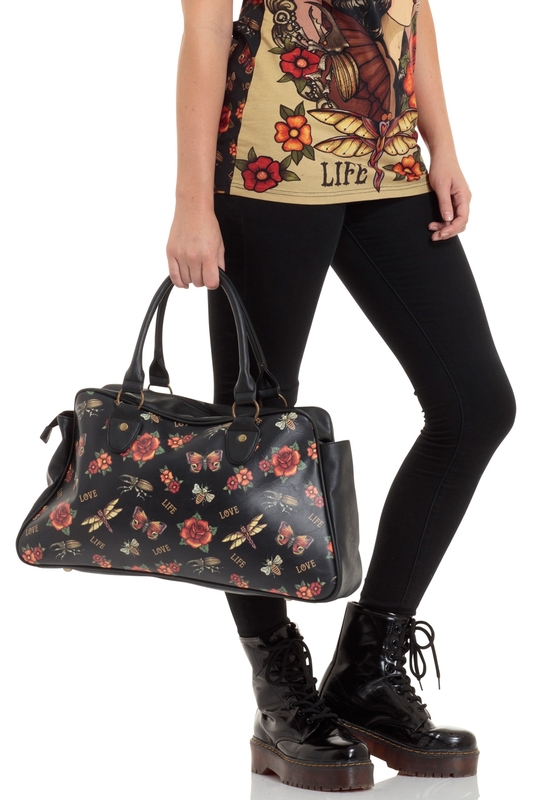 For a duffle bag that packs a punch look no further than this tattoo inspired number. Love The Print? 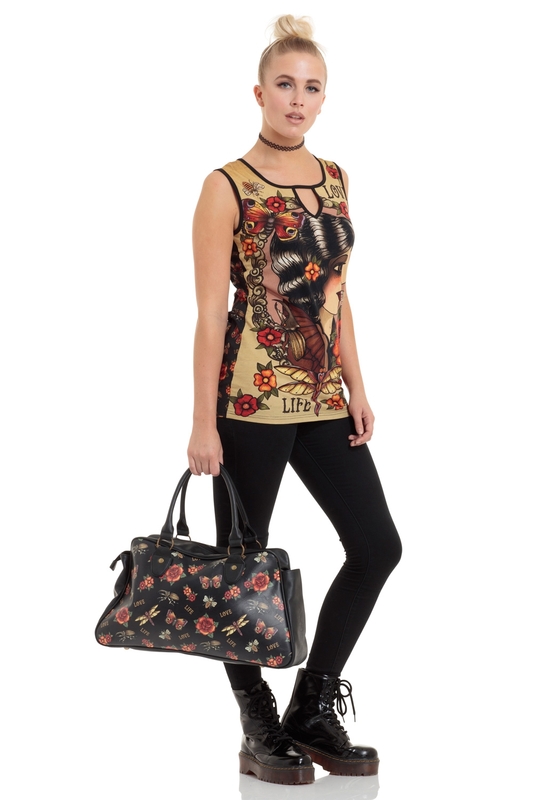 Complete the look with the matching Tattoo Cameo Collage Keyhole Top. 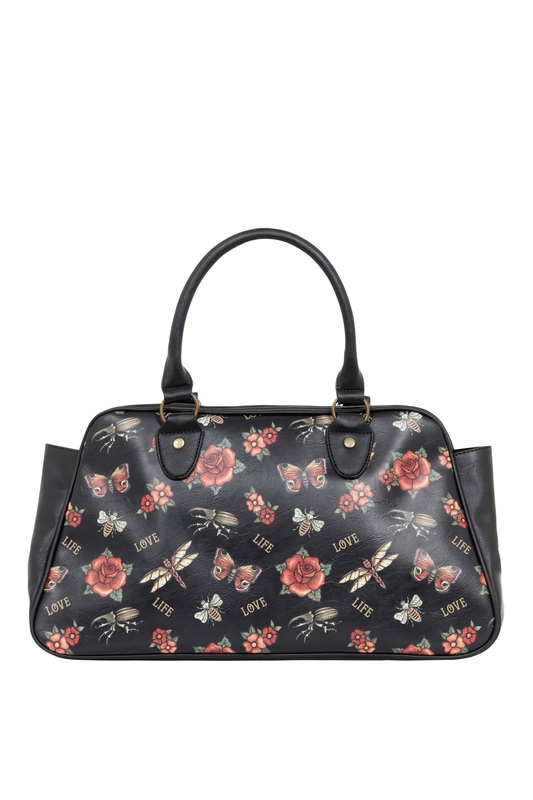 Also check out the Tattoo Bag if you’re after a day to day version of this weekend bag.